We have been eagerly awaiting news on another pinball manufacturer getting their first product out the doors but it has been a little while since we had heard anything, until now. Pinballnews.com has an exclusive spread about the current situation at the Heighway Pinball factory, located in Merthyr Tydfil, UK. 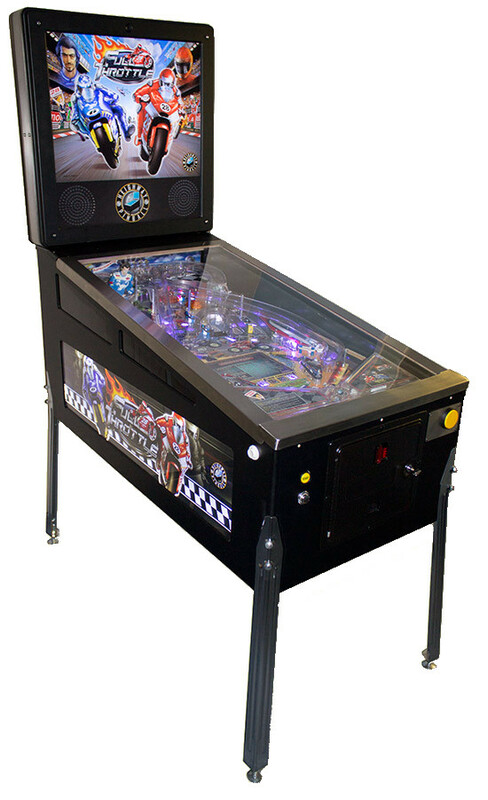 Delays for this game came into play when their factory was hired to do a special limited run of a few hundred custom pinball machines for an as-yet undisclosed corporation but with that out of the way, the focus is on getting Full Throttle out into the wild. We have not seen such a packed shipping schedule in pinball since the 90s. Granted, for three of these companies it is their very first time out of the gate and from what we have heard they are looking at limited releases which are mostly filled with pre-orders. I don’t want to see any effort in this regard fail but either way we will find out by the end of the year what amount of games that the market can handle in regards to a simultaneous release schedule. Popular Mechanics looks at the "11 things you didn't know about pinball history"